The launch teams have scrubbed this first attempt to launch a Northrop Grumman Pegasus XL rocket carrying the $242 million Ionospheric Connection Explorer (ICON) mission after take off from Cape Canaveral under the belly of a carrier aircraft. NASA's Launch Services Program, which is responsible for the mission, said Engineers with NASA's Launch Services program reported that an anomaly was encountered while flying the Pegasus® rocket to the designated drop zone, located approximately 100 miles away from Florida's Daytona Beach. Northrop Grumman Corporation (NYSE: NOC) announced the company is prepared to launch the company’s air-launched Pegasus® XL rocket aboard its Stargazer L-1011 airplane from Cape Canaveral Air Force Station on November 7, at approximately 3:05 a.m. EST — this will be the 44th flight for Northrop Grumman’s air-launched Pegasus rocket. 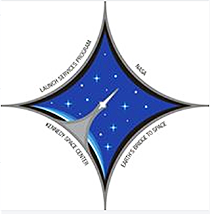 Pegasus will be carrying NASA’s Ionospheric Connection Explorer (ICON) satellite, built by Northrop Grumman at its manufacturing facilities in Dulles, Virginia and Gilbert, Arizona. ICON will study the frontier of space — the dynamic zone high in Earth’s atmosphere where terrestrial weather from below meets space weather above. The explorer will help determine the physics of Earth’s space environment and pave the way for mitigating its effects on technology, communications systems and society. 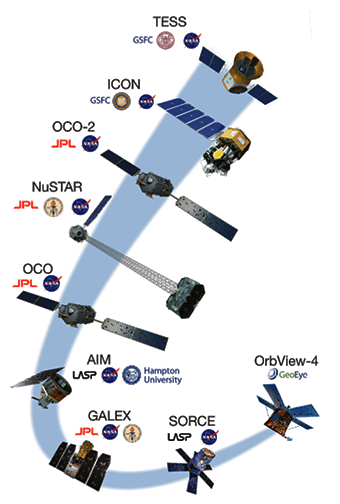 ICON is based on Northrop Grumman’s flight-proven LEOStar-2™ spacecraft bus and adds to an extensive list of science satellites the company has developed and built for NASA over the last 35 years. Northrop Grumman has previously provided both the satellite and launch vehicle for numerous NASA scientific missions. The most recent example of this dual capability occurred mid-2012 when the Northrop Grumman-built Nuclear Spectroscopic Telescope Array (NuSTAR) satellite launched on a Pegasus rocket. Other examples include the Interstellar Boundary Explorer (IBEX), the Aeronomy of Ice in the Mesosphere (AIM) satellite, the Solar Radiation and Climate Experiment (SORCE) and the Galaxy Evolution Explorer (GALEX). Pegasus is the world’s first privately-developed commercial rocket and the leading launch system for deploying small satellites into low earth orbit. The rocket has a perfect launch record for more than 20 years. A NASA Category 3 vehicle in the small-launch class, Pegasus is certified to launch NASA’s most valuable smallsats. NASA’s Launch Services Program, which matches spacecraft with launch vehicles, facilitated the launch. The original air-launched space launcher, the Pegasus rocket launches from beneath Northrop Grumman’s Stargazer L-1011 carrier airplane, providing customers with unparalleled flexibility to operate from virtually anywhere on Earth with minimal ground support requirements. Previous Pegasus missions have launched from five separate sites in the U.S., Europe and the Marshall Islands.